Maraki, established in 2016, is an Ethiopian coffee and catering business. 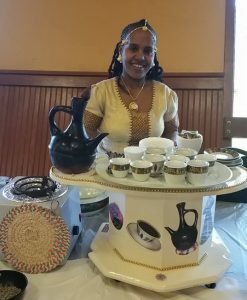 Business partners Fanaye Gebeyaw and Lidia Tadlla provide Ethiopian coffee and healthy snacks through the traditional ceremony that is perfect for social occasions. 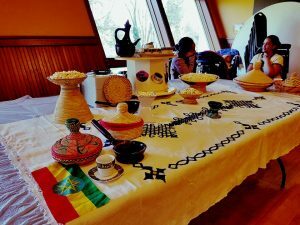 Service Area: Seattle and King County Availability: Call us anytime Contact: (206) 832-5979 Q: Tell us about your business We come to you and make Ethiopian traditional coffee. You will be able to see how a very tasty and original Abyssinica coffee is made, from roasting the fresh beans to brewing. You'll taste our coffee with a healthy snack in the comfort of your own home or at an event. Maraki began catering with the support of Food Innovation Network. In Ethiopia, the traditional way to drink coffee is around coffee stands that hold cups where friends and family members gather, chat, share ideas and have coffee. Maraki pairs traditional coffee with high-quality healthy snacks in the homely and relaxed atmosphere of a client's own space. 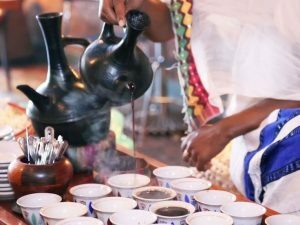 We meld pure socialization with our traditional Ethiopian coffee ceremony. With high standards and reliable delivery schedules, we have been able to build and maintain a solid customer base within a short period of time in King County. As founders, we are both experienced in Ethiopian and western foods, give high priority to quality and healthy food. Q: What inspired you to start this business? We were inspired to take the influential culture from Ethiopia and do the same in our local atmosphere. The major inspiring factor for Maraki to start the business was the lack of culture we, as Ethiopians, noticed in the US. With this business, there will be more cultural festivities and an atmosphere just like Ethiopia. Q: What makes you different from other types of coffee businesses? Maraki provides unique service to its customers, we serve Ethiopian coffee with its traditional ceremony. The client watches as we roast the coffee bean which is directly imported from its origin, Ethiopia. Coffee catering is suitable to any social gathering- family, work or public. Our coffee ceremony highly facilitates social interaction. It creates a friendly and relaxed environment while enjoying our tasty coffee and healthy snack. Q: What do you like best about your work? We enjoy working with clients and like to see customers satisfied with our service. It's always a pleasure to socialize with people during the coffee ceremony and seeing them smile. Q: What is your business’ biggest challenge? Our biggest challenge so far is working capital. We would like to reach out many customers and participate in festivals but the working capital is a major challenge to meet that demand. Q: What is something people might be surprised to learn about you or your business? One interesting thing is that both owners are health professionals promoting healthy lifestyle and equity. When we initially established Maraki it was to introduce healthy Ethiopian food and coffee ceremony to the Western community. 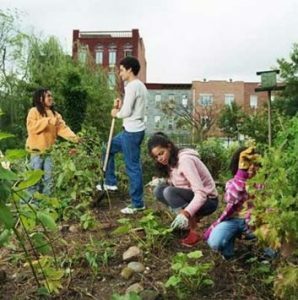 We believe we can create a healthy community through socialization and understanding each other’s culture. Q: What types of services or programs have been helpful? FIN services have been helpful for the success of Maraki as a catering service. 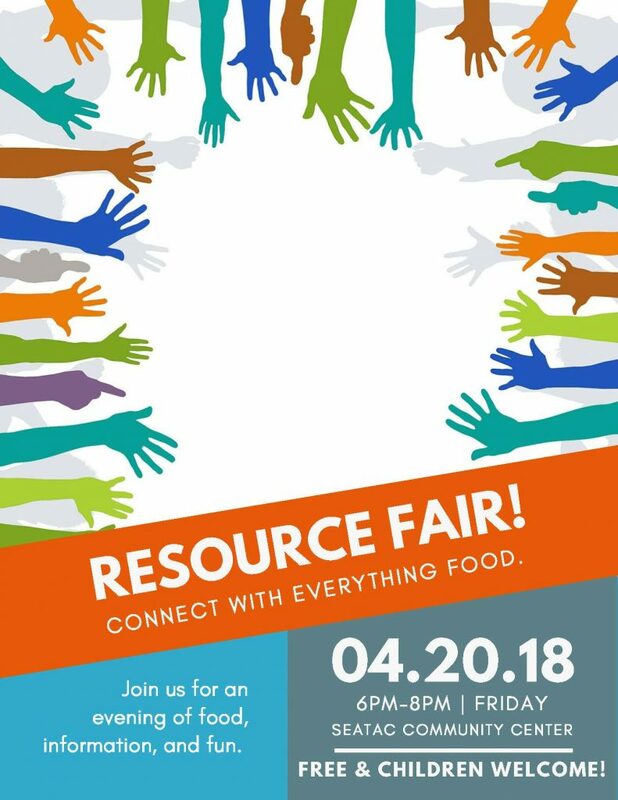 The Network has supported us in accessing a commissary kitchen, creating a forum to network with potential customers, and facilitating us to get our business license and health permits. Want to brighten up your next social event? Call Lidia & Fanaye today! One of the most frightening things Cesar Amaral has ever done was to become an entrepreneur. As an entrepreneur, he says, you must take responsibility for everything. You become the deliveryman, the marketing guru, and the business developer. But if you can plan, re-evaluate, and be persistent it will all pay off. It begins with taking responsibility and most of all, pushing yourself. Cesar’s mother passed away from diabetes in 2012 and, to him, it was a wake-up call that changed his life. Although he had built a successful career in banking he wasn’t fulfilled; he was 275lbs and wanted to turn his life around. He started simple, walking 30 minutes a day and eating small meals every three hours. As he began to improve his own health, Cesar looked to the Latino community and found alarming rates of diabetes and obesity and very few role models for health and nutrition. In taking control of his own life, it became his mission to become a role model in the Latino community and fight the diabetes and obesity epidemics. By 2014, he had left his job in banking and become certified as a personal trainer. He was producing workout videos and holding group workout classes in Spanish in an effort to get other Latinos more active. But obesity trends were still slowly rising and he started to shift his focus to nutrition as well as exercise. After much research he developed MX180, a weight management and nutrition program for people who are overweight or obese and need to improve their health. 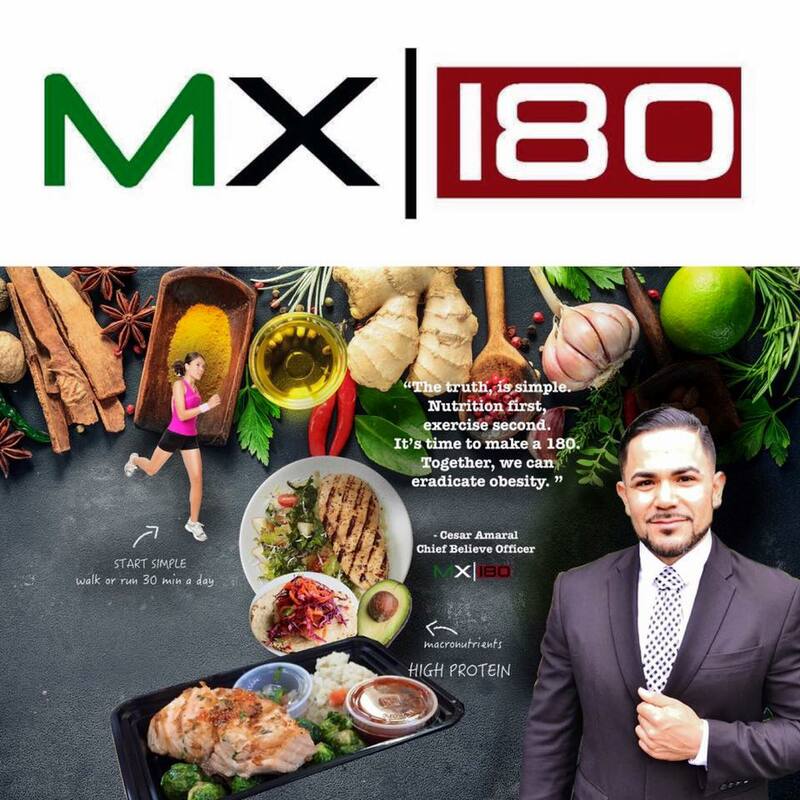 MX180 focuses on personalized nutrition plans with Mexican style meal options, virtual personal training, and a specially developed MX180 protein shake. With the launch of MX180, Cesar has become a community leader, often speaking at schools about nutrition and healthy; he truly helps people turn their lives around 180 degrees. What advice does Cesar offer other entrepreneurs? “Always connect to like-minded people. A majority of the world will tell you you’re not going to make it so it’s important to believe in yourself because the euphoria wears off. When you start something it’s so new and you’re so determined, but what will you do a few months from now when you are tired and run-down? During the dark moments you really need to dig in, get out of bed, and find people who will help keep you motivated.” “Dig in, believe in yourself, and go for it.” If you're ready to take control of your life by forming new healthy habits, try the MX180 30-Day Plan. 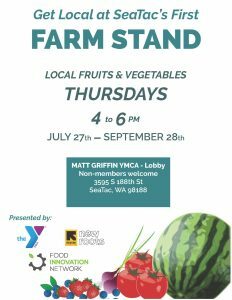 For more details call (206) 853-9847. Check out the MX180 website and connect with them on Facebook and Instagram.